In the past, my experience with Lee Jeans for women has been that they are designed for women with curves . . . smaller waist with rounded hips and behind. I have never had curves. When I was a size 2, I had no waist and no behind. Now I am a size 10 with no waist and no behind. Because of this, I have to wear low-rise pants otherwise, when the rest of the pant fits, the waist is too small for me. I was very excited to hear that Lee's Gold Label Collection of jeans, twill pants, and trousers sat just below the waist. 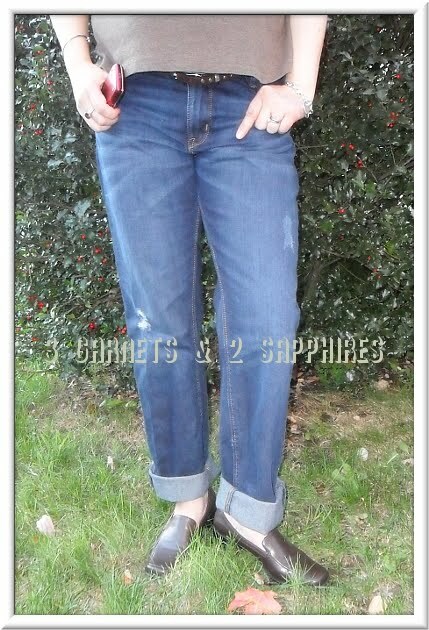 The pair I tried on for size were the Gold Label Austen Vintage Slim jeans in the darker Rodeo wash. I love wearing distressed jeans because they are usually so comfortable. I was surprised that these jeans felt brand new. They have since been washed at least four times and I think they are starting to soften. They will be perfect after several more washings. I love the way these jeans look from the front. From the back they are too roomy for me, not just in the seat, but also throughout the thighs. In my mind, slim jeans should be more fitted and less relaxed. 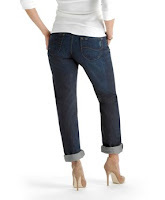 Of course, not all size 10 bodies are the same, so these jeans might fit another woman perfectly. To view the entire Gold Label Collection for women, visit Lee.com . Each style is regularly priced at $44.00 . For a limited time, you can receive Free Ground Shipping on any order of $30 or more plus a savings of 20% when you sign up for Lee email updates. You can also find Lee Jeans on Facebook. 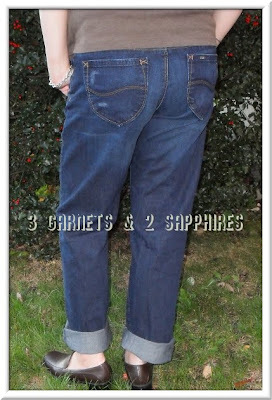 Thank you to Lee Jeans for sending us a complimentary sample product to base this review upon.